Vladimir Lysenko’s painted bull stares with flat black eyes like a double-barrel shotgun, one of his horns festooned in a mosaic of bright rectangles, the tip of his tail stretched toward a glowing orange globe that may be the sun. Over the years, the painting has become one of the most renowned images of the artistic ferment that bubbled under the strictures of insipid Soviet social realism. But until recently, anyone who wanted to see it had to travel to an isolated, gritty city in Uzbekistan’s desert. 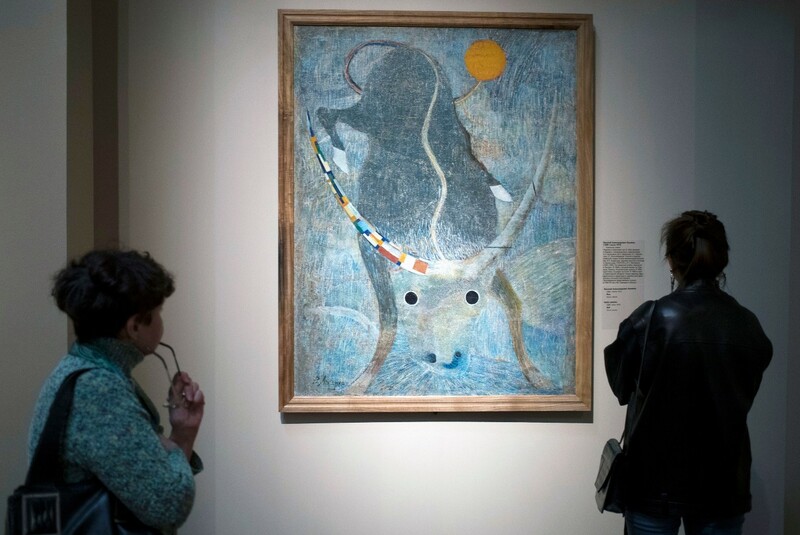 This month, more than 200 paintings from the Savitsky State Art Museum of Karakalpakstan went on display at the Pushkin Museum in Moscow, a rare traveling exhibit from the gallery widely regarded as having the world’s second-best collection of Soviet avant-garde art. “This exhibition opens completely new, and not very well researched, layers of art that are linked to the international avant-garde,” said Pushkin museum director Maria Loshak. The show also draws attention to the history of the Savitsky museum, which is as remarkable as the works it holds.